Home > Food > Is your child a picky eater? If your child is fussy about their food, it can lead to tears, tantrums and frustration (and that’s just for the parents!). Blackmores’ Superkids Cook and mother of three, Bianca Slade from Wholefood Simply, shares her top tips on making meal times easier and more enjoyable for the whole family. It may not be much comfort, but if your child is a picky eater, know you’re not alone. It’s estimated up to half of all children, from the toddler years to around 12 years of age, are fussy about their food. 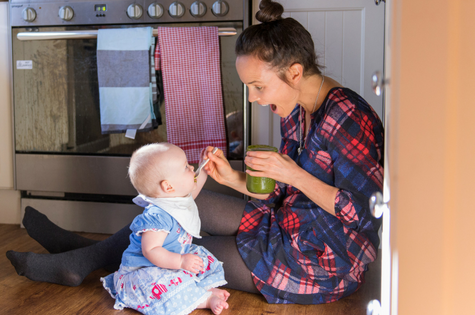 While they become less fussy as they get older, it’s important to ensure your child is getting enough nutrients on a daily basis, to help support healthy growth and development. Yes, your child may turn up their nose at your lovingly-crafted carrot sticks, but persevere. Research shows that kids need to be exposed to a certain food between eight to 15 times before they’ll try it and accept it. If your child has an older sibling, and even better, one who eats a wide variety of food, then serving the same meals to both can help your picky eater become a little more adventurous. And sit down together as a family to eat – conversation can distract your child from their meals, plus they’ll copy what the ‘grown-ups’ are doing. Your child may not like broccoli or cauliflower, but they love Bolognese or pizzas. Steam and blend some nutritional superfoods and add into homemade soups and sauces to ensure your kids are getting the goodness, but without the fuss. If it’s difficult to get your children to eat their fruit, think outside the box. Or in this case, into ice blocks. Blend bananas, strawberries, blueberries and raspberries, with water or milk, and turn the concoction into ice blocks (you can buy the moulds at supermarkets) for a nutritious and fun afternoon treat. With just one in 20 Australian children getting enough serves of fruit and veg every day, it’s important they are getting all the required nutrients to support kid’s healthy growth and development. The Blackmores Superkids® range, including Superkids® Multi Chewables, are 99% sugar free and have a naturally delicious taste to help balance out kid’s patchy diets. Speak to your healthcare practitioner if symptoms persist. Always read the label. Use only as directed. Supplements may only be of assistance if dietary intake is inadequate. Bianca Slade is a mum of three (aged 10, 6, and 2), a recipe creator and owner of healthy cook blog site, Wholefood Simply. Bianca is passionate about creating whole foods that the entire family can enjoy, as well as recreating traditional treats and sweets to suit her family’s whole food ways. Bianca has published 10 cookbooks under the Wholefood Simply umbrella, including her most recent book Wholefood Simply: Natural Indulgence. Bianca has teamed up with Blackmores as their Superkids Cook. That’s a smart way of thninikg about it. Clear, initfmaorve, simple. Could I send you some e-hugs? When your child is a picky eater, everyone has advice!